Skype. There's probably no need to go into too much detail about what this might be - I'm guessing most of you will be familiar with Skype by now - but seeing as each new version of the programme brings new functions and the most recent Skype version was recently launched we thought we'd take a closer look at it for you. 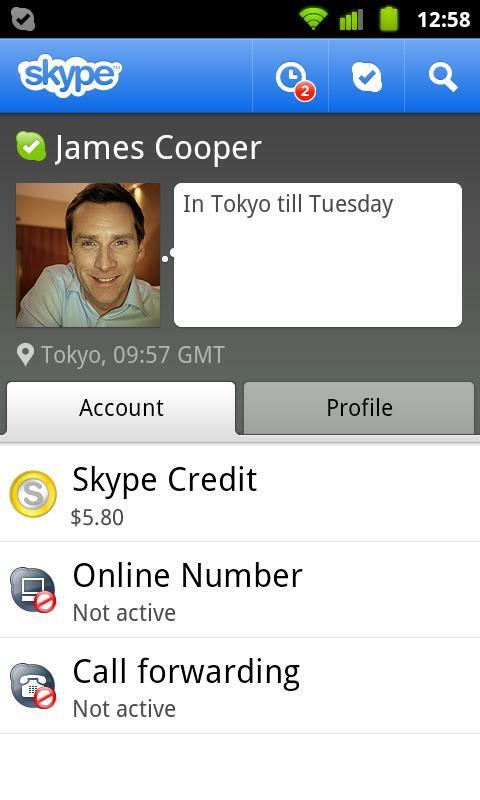 Find out how others are feeling about this Android app in our Skype forum thread. Download and install the app – it all starts there, and, mercifully, this part runs totally smoothly. No probs. The next step is signing in for the first time, or in my case, trying to sign in, failing and succeeding the second time round. Weird. What happened: did I make a mistake whilst entering my password? I've had issues with that on several occasions when signing in from my computer… Anyway, what matters is that the second time is a go. I'm famous for my butterfingers, so who knows what happened. As always, the first thing I see just after I've installed Skype is the welcome message, to which I decide to pay heed for once for the sake of this review. Skype informs me of all the functions I will be able to use (chat, free Skype to Skype calls and cheap calls to mobile and landline numbers) and then asks me if I'd like to synchronize my Skype contacts with my address book. How interesting, I had no idea this was even an option. There are three possible options: 1) I can import my Skype contacts to my address book, 2) I can add Skype infos to my address book contacts, and 3) I can ignore/skip this step. I go for the third option on the Samsung Tablet and I sync my contacts on the Xperia Neo. Both variants run super smoothly, without any problems. If you decide that you want to synchronize your contacts after all you can always make adjustments in the settings menu. Speaking of settings: any adjustments can be made here, including general settings, settings related to the messaging service, instant messages (IM) and phone calls. All you need do is tick the options you want and untick the ones you don't. How pleasant, not having to fine comb one's way through a mess of muddled menus. Let's take a look at the different functions, starting with the chat: I actually had Skype running on my computer and phone/tablet simultaneously, because I was curious to see whether there would be any time differences, and may I say that I was really impressed. I hit 'return' on the tablet and my messages pop up approximately one millisecond later on my computer and phone. The same goes for incoming messages. Skype also allows several different input methods: I can choose between classic keyboard, voice control, Samsung keyboard, Swype and TalkBalk on the Galaxy Tab 10.1. One click on the corresponding button and you can even make changes to the input-configurations. I tried out all the input methods – the keyboards work perfectly, and while there weren't any problems with Swype per se I found this method to be too cumbersome for my intentions. And what about voice entry? Not that I would actually ever sit down in a public place and start speaking to my tablet/smartphone, but I wanted to know just for knowing's sake. You really would have to enunciate and speak very clearly and be prepared for wrong word entries despite doing so. I think I'll stick to the good old fashioned keyboard or even just ring someone up if I want to talk to them. I will definitely not be making use of the voice entry options. It takes but one click to sort through all the contacts on the list. A very useful feature if ever there was one, especially if you have a lot of contacts and want to highlight the ones that are online. I'm not wild about the fact that you can only see the contact you're communicating with at that moment; this is especially noticeable on the tablet. It would make more sense to have the entire list visible so that you can keep glancing at it. As it is you have to keep returning to the menu before you can access your other contacts. The classic VoIP runs quite well, the sound is passable though I did notice somewhat of a latency, but then again I'm accustomed to this and it doesn't really ruffle my feathers. I tested the function using 3G and WLAN; the latter works better, i.e. everything's a bit smoother with WLAN. Right off the bat: there are still quite a few limitations in this department. At the moment all devices with Android versions older than 2.2. aren't supported at all. Android 2.2 devices can only use the back camera, and the last thing you want to do is repeatedly turn your phone back and fro whilst trying to talk to someone. Unless you stand in front of a mirror… ah, limitations are known to spawn creativity… but who am I kidding: I'd rather have comfort and convenience of use any day. What's more: not all smartphones and tablets are compatible for video chat (the Galaxy Tab 10.1 is among the non-compatibles, sadly), but it's only a question of time until this is remedied. Here's a list of devices that are currently compatible. With some devices (e.g. 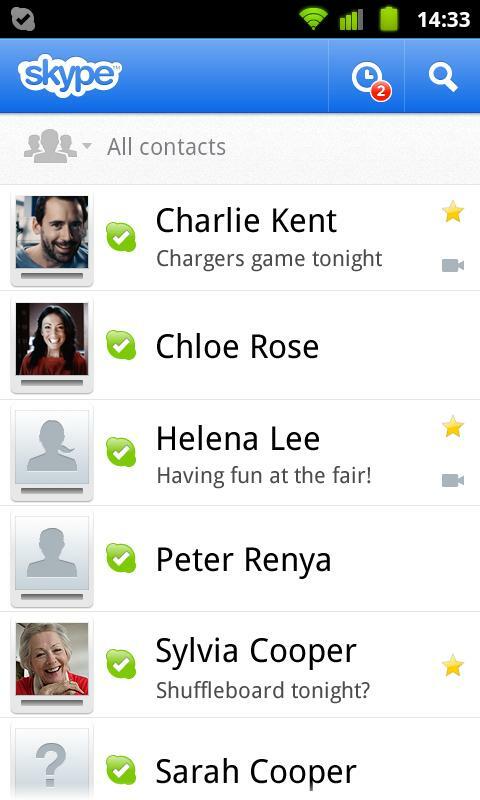 the Galaxy S2) the video chat option has to be activated in the settings options before you can actually use it. Contrariwise, video chat worked surprisingly well on the Sony Ericsson Xperia Neo, especially in combination with WLAN. I tried it with 3G and found that it was quite choppy when I used it on the go – this could have to do with the reception, though. 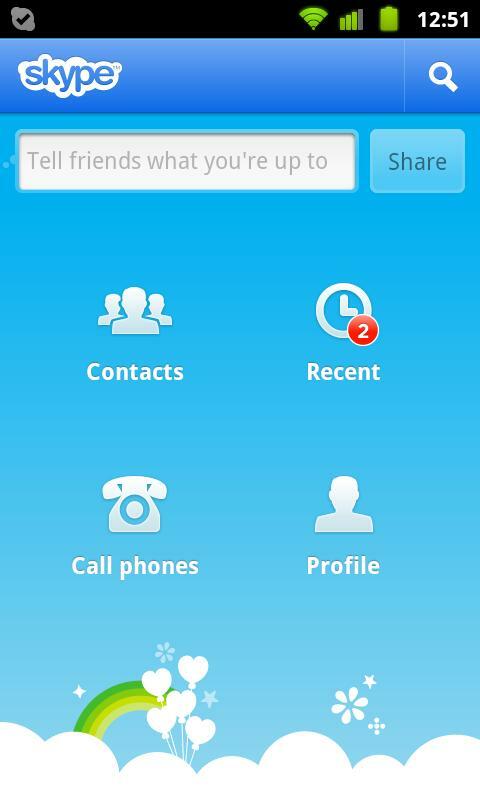 For me, Skype is still the ultimate app for when I want to make free calls (with some restrictions, granted). The video telephony is still a bit half-baked in the sense that it doesn't run on all devices. Furthermore, the Froyo camera dilemma seems a bit clumsy, but I have an inkling this might get sorted out sooner rather than later, so it's only marginally bothersome. The options are easy to keep track of, and at the same time there are a lot of viable ways of keeping in touch with friends and acquaintances. A five star rating may seem like a lot, but when I compare Skype to similar apps (such as Viber) I feel like a top score is justifiable. Controls are really good overall. Everything is a bit smaller to what many of us are accustomed to seeing on our computer screens, and that does take a bit of getting used to, especially if you're running Skype on a smartphone. Once you've gotten the hang of everything you'll be able to use all the functions without any problems. I've had Skype running for quite some time and it hasn't crashed up until now. Sure, having it switched on eats away at battery life, but the same is true for any application that's always running in the background. I was especially impressed by the chat function: it ran really smoothly throughout. Normal calls and video telephony didn't run quite as well on 3G – a few of my convos were actually cut short, but that might be due to the reception. I can deal with the minimal amount of latency. Skype can be used for free and at the same time it provides so many cool functions, so there's nothing negative to be said at this point because there's really nothing to nag about. Sure, there are other free alternatives out there, but Skype stands out because it is so widely used. What's more is that new features are constantly being added, making it possible to talk and chat with contacts for free. Even the calls you have to pay for are cheaper than if you were using a lot of other services. In a nutshell: Skype is a wonderful communications app. Skype has made my life very covenient. I learn german online skype in Preply at preply.com/en/german-by-skype wherever I am. Skype really is very cool. I even do skype conversation german and learn bit by bit. To do speak german skype is just great. Skype is really great. I have been able to speak german through skype at preply . com/en/german-by-skype and it won't be possible for me to learn german if not for this application. In addition to hosted solutions from Skype, you may want to consider a RHUB web conference server. I have problem of sound,can you resolve it please? Am able to use Skype on my Trio Stealth but whomever I call only sees green screen. any ideas? Hi Siegfried, why not mosey on over to the German website and ask your question there, the English team can't speak German, so sorry! Good luck! hallo....gibt es das teil auch fuet das galaxy s3??? 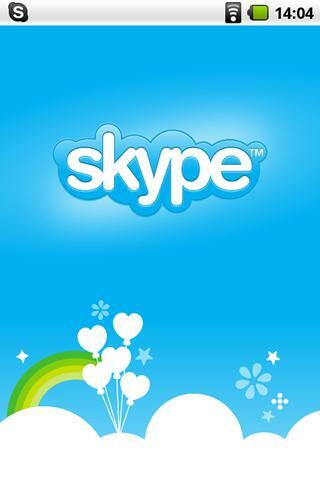 Guys, we're sorry to hear that so many of you have been experiencing hitches with the official Skype app. Unfortunately, we are not responsible for the app's performance, but we invite you to join our forum thread to share your user experiences there. See the review intro for a link to the thread. We take your feedback to heart and may revisit this app and write a new review, so watch this space! why it not working on myphone? At first time downloading ok but can't create account (any combinations had answer try later ) After a lot of choise i decided to reload program. I unistall and loaded program but any attempts to install program failed. Corrupted fail. Any idea? have a google andriod 2.3. have downloaded, but will not sign in. says skype has stopped working. any ideas? for a " video call " very good work. but with a back cam. video calling must be working with front cam. thank you skype . . I'm using Motorola XOOM Honeycomb 3.1 and Skype video chat is not working! Any ideas? this review is very overrated and biased. everyone is complaining about the dropped video chats and yet it gets 4 stars. who are these testers? the video chat feature is totally raw and beta yet. they released the thing way too early! back camer only working for me!!!! wtf? !